Jennifer Lin is an award-wining journalist and former reporter for The Philadelphia Inquirer. In a distinguished 30-year career, she served as the paper’s New York financial correspondent, Washington foreign affairs reporter, and Asia bureau chief, based in China. Within the next decade, China could be home to more Christians than any other country in the world. Through the 150-year saga of a single family, this book vividly dramatizes the remarkable religious evolution of the world’s most populous nation. 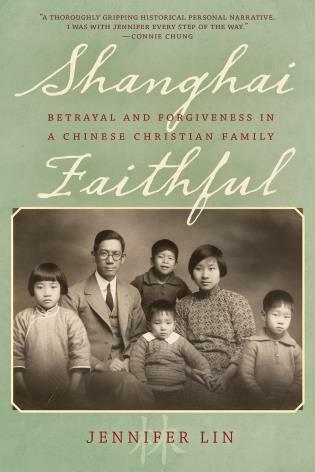 Shanghai Faithful is both a touching family memoir and a chronicle of the astonishing spread of Christianity in China. Five generations of the Lin family—buffeted by history’s crosscurrents and personal strife—bring to life an epoch that is still unfolding.